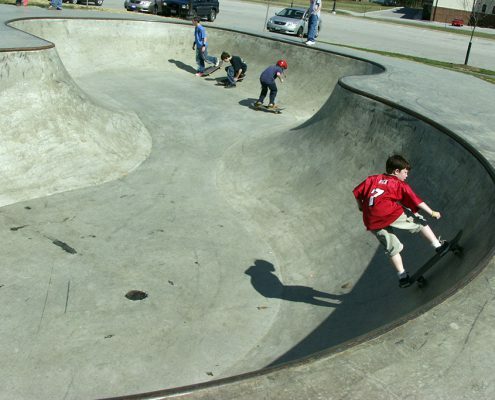 The 12,000 square foot Skatepark is made of reinforced concrete consisting of a bowl design for what is known as vert skating with “streetscape” elements to accommodate the dual preferences of skaters. 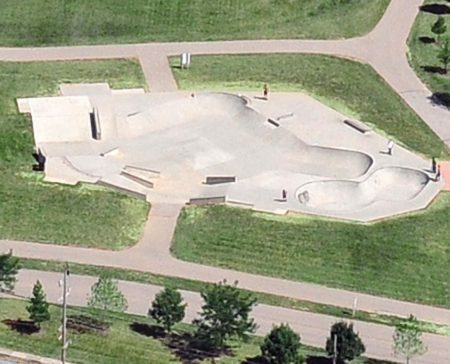 The Skatepark is designed for use by skateboarders, rollerbladers and bmx bikers. Use of the Skatepark is free. As a reminder: use trash cans for garbage, refrain from using offensive language, obey posted rules and tell others to do the same. Be courteous to one another and our neighbors; do not trespass, litter or damage their property. Open from dawn to dusk, 365 days a year, excluding special events. 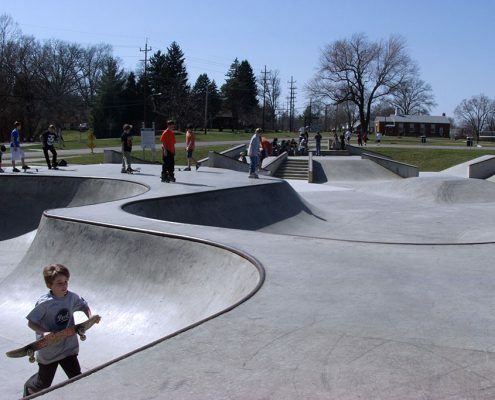 The Anderson Park District provided the initial $200,000 to develop this facility for which there has been a very high demand. 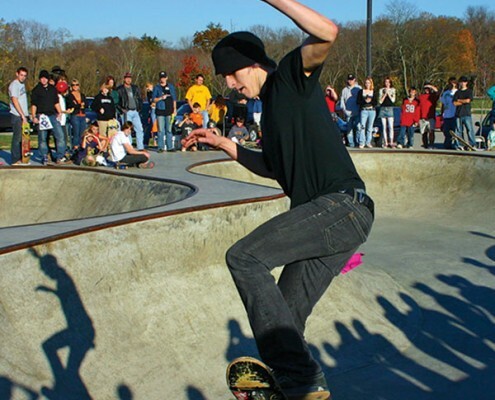 The Skatepark Committee, spearheaded by parent volunteer, Meg Stevenson, raised the remaining $30,000 for phase one. 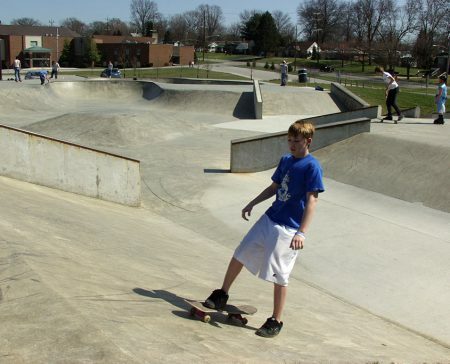 The Committee is continuing to fundraise for enhancements.